When I close my eyes all I can picture is him falling head first into the gravel. Or the road. Down a hill. Or cliff. We actually don’t know. We don’t know what happened because he doesn’t remember. It is every wife or moms worst nightmare; getting that call to let you know that your loved one is in the hospital. I’ve dreaded this call for years. 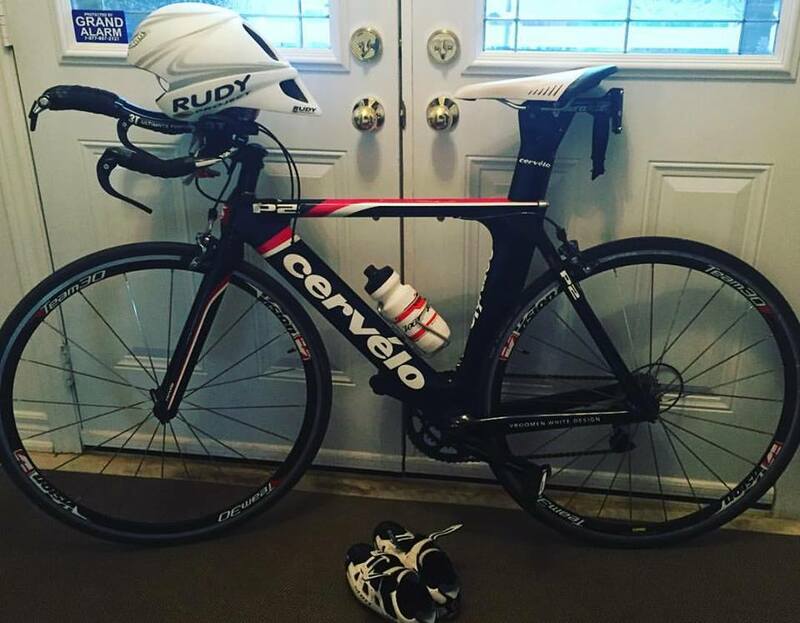 My husband is an athlete who runs or rides every day. And each day I wait at home until his safe return. But yesterday he didn’t come back. It was 8:15am and we expected him home because I had to take Z to an appointment for 8:30. I remember cussing under my breath, “he’s late again, training once again takes priority”. I remember texting him twice. First one with just question marks. And ten minutes later with HELLO?? In all caps. I need to delete that text because it makes me sick seeing it on my phone. Here I was pissed off thinking that his ride time meant more than his child being on time for something. But in fact he was a mangled mess, riding not on his bike but an ambulance to the nearest hospital from where he fell. He doesn’t remember anything. He remembers having a great ride. He could see the road in the distance and kept going. For whatever reason he chose a path he hadn’t taken before, but that’s him. Always daring to push himself beyond his limits. He doesn’t remember if the road just ended. He doesn’t know if he got swiped by a car. He doesn’t know what happened. And all we can do is speculate given the pieces of information we have. And down he went. Clipped in to his bike. Head first he must have tumbled, falling or rolling down a hill or something, bike attached to his feet. I don’t even want to close my eyes because I replay scenarios in my head of what might have happened. He lost consciousness for an unknown amount of time. And again with what we can piece together from the time that stopped on his Garmin, was that he was laying there for at least half hour. Until he was found. Thank god he was found. By a man that Allen recollects, is in all blue with grey hair. Was he another biker? A passerby? I don’t know that we will ever know but I thank him. God only knows what could have happened had you not been there. I owe you dear stranger. I just don’t know that I’ll ever be able to repay you. The way he was described by the nurse on the phone was not what I expected when I walked in. Luckily his body and bones and were all intact. Besides some minor cuts and bruises to his hands and legs, it literally was all the right side of his face. He was bleeding everywhere. His forehead was cut open. His nose was broken. His lip was separated from the top. His eye was shut closed. It really was horrible to see. A nightmare coming true. Hours later, he had reconstructive surgery on his face. His nose was put back into place. His lip was sewn back together, his eye and forehead were closed up. And while he will have some long term damage to his right brow and no sensation in his bottom right lip, he is alive. And he is so lucky. We are lucky. He is still with us. His kids still have their dad. And I have my love. Training for this Iron Man is done for now. He knows now he isn’t Invicible. We will see what the future brings. But for now, we will live in the now and get him recovered. Cherish every moment. Life throws curveballs every once in a while and we have to stay in front of them. Deb… how scary this must have been for you and your family. I’m just happy to hear he’s okay and he’s recovering well. Life is so crazy… thanks for the reminder to cherish what we have NOW! Sending you healing thoughts for a quick and speedy recovery. Let me know if there’s anything I can do to help. This is my worst nightmare. I’m a scaredy-cat and my family laughs at me all the time when I rant about being careful. This is why. I’m happy that he will be alright. Sending healing thoughts to both of you. OMG Debbie what a horrible story. Wishing Allen very speedy and full recovery. So incredibly scary! I’m happy he’s on his way to healing. Deb, I’m sorry that you had to go through this. It must have been terrifying. I’m so glad to hear that Allen is doing well and I wish him, and you, a speedy recovery.